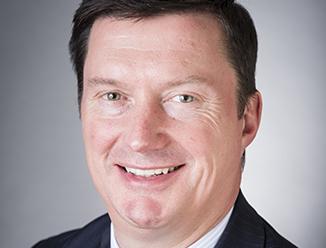 Richard Dakin is the Global Head of Capital Advisors. Capital Advisors provide financial advice to owners and managers of real estate on capital, debt and other strategic aspects including corporate finance, asset management and loan servicing. Richard is a member of CBRE’s UK Management Board and Strategy Board and is a Non-Executive Director of Derwent London Plc. Richard joined CBRE as Managing Director of Capital Advisors in 2014, following a highly successful 32 year career at Lloyds Banking Group PLC. His roles at the Group included most recently Managing Director and Head of Corporate Real Estate, Business Support and Non-Core, Commercial Banking, covering the UK, Ireland and Europe. Richard established the unit in 2009 to support real estate customers facing financial difficulties, assuming responsibility for a diverse range of property businesses as well as overseeing the successful deleveraging of the non-core real estate loan book. Previous roles included Managing Director of the Major Corporates and International Corporate Banking division that oversaw business for UK and global organisations that required complex financial expertise. As well as being appointed to the Board of Derwent London Plc, a FTSE 250 property company, in August 2013, Richard has previously served on the Board of the Association of Corporate Treasurers, the BPF Policy Committee and the Bank of England Property Forum.